Village Of Stone Park 1825 N. 32nd Ave. Thinking of buying a home? This is a great opportunity to get all of your questions answered. Buying a home is a big decision and Wintrust will be at the Stone Park Village Hall on September 28th to help you. 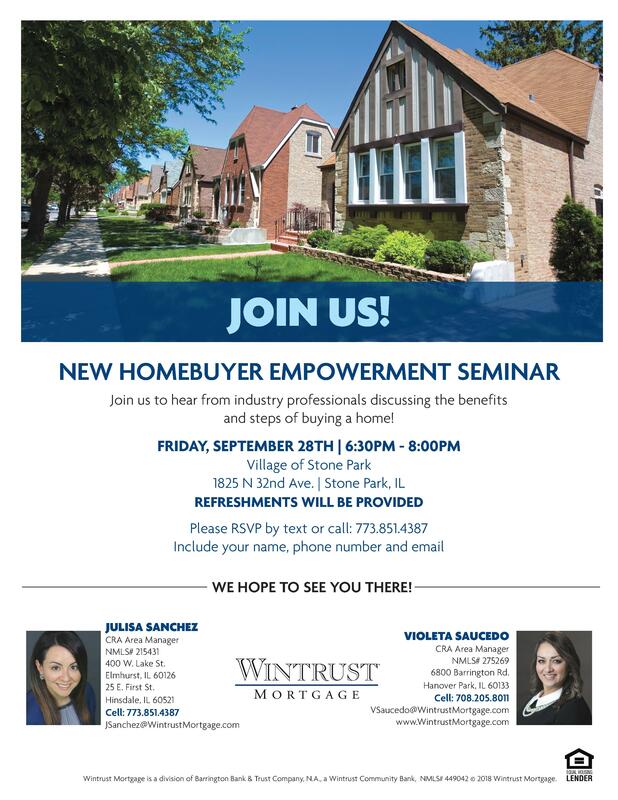 Please call 773-851-4387 with questions.